Birds are dinosaurs. It’s a concept some people struggle to understand, let alone endorse. Like many of the startling conclusions made by the scientific community, the road to those conclusions took decades of data and discovery to turn opinions around. This simple, baffling idea has repercussions on our view of dinosaurs, birds, and ourselves. Let’s start at the beginning. Sir Richard Owen, when he invented “dinosauria” as a classification of extinct reptiles in 1842, likened their limb structure to those of “heavy pachydermal mammals.” The structure of their limbs distinguished dinosaurs as being separate from modern reptiles, but also from the marine reptiles being described at around the same time. Later, Thomas Henry Huxley (popularly dubbed “Darwin’s bulldog”) outlined the similarities between theropod dinosaurs and modern birds. But many origins for birds were being discussed and for decades, scientists debated where birds diverged from the main reptile lineage. In 1969, Yale’s John Ostrom published his description of Deinonychus, which compared this agile predator to Archaeopteryx. By outlining the many anatomical similarities between the two creatures, Ostrom demonstrated that birds and dinosaurs could have closer affinities than many paleontologists of the era recognized. Pubis (one of the three bones making up the vertebrate pelvis) shifted from an anterior to a more posterior orientation (see Saurischia), and bearing a small distal “boot”. Erect, digitgrade (ankle held well off the ground) stance with feet positioned directly below the body. Functional basis for wing power stroke present in arms and pectoral girdle (during motion, the arms were swung down and forward, then up and backwards, describing a “figure-eight” when viewed laterally). Hinge-like ankle joint, with movement mostly restricted to the fore-aft plane. Secondary bony palate (nostrils open posteriorly in throat). “So, dinosaurs are birds,” some may say. “So what?” Yes, it means dinosaurs are still with us today, but it also means that some dinosaurs avoided extinction 66 million years ago–making their terrestrial dominance all the more impressive. 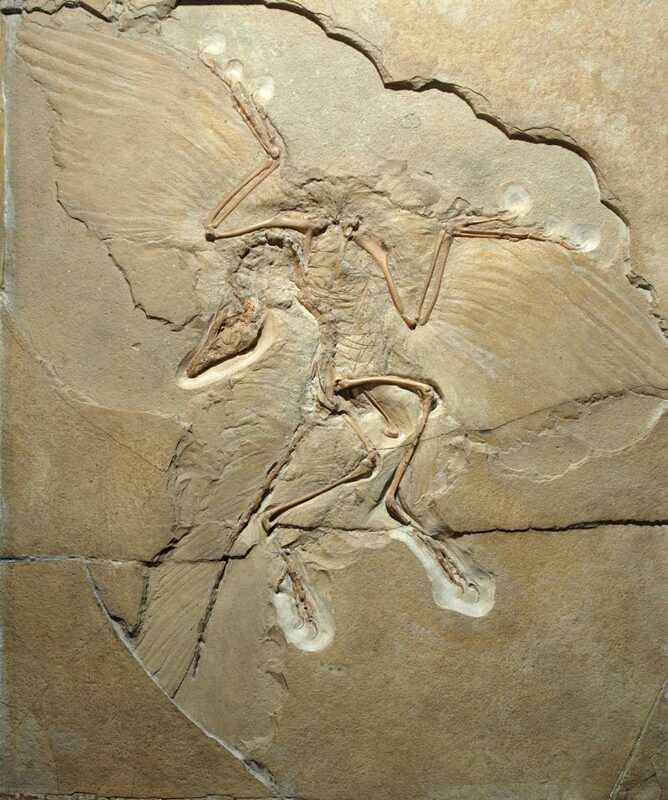 It’s also important to remember that modern birds are different from the first birds that split from the non-avian dinosaur lineage 150 million years ago. Dinosaurs give us a profound context for time as well. Modern humans have existed for around 200,000 years. Non-avian dinosaurs existed for nearly 200,000,000 years. It’s worth remembering just how long they ruled the world in comparison to our own kind’s short sojourn. We marvel at how dinosaurs still survive and proliferate, with more species alive today than ever before. Post your favorite non-avian and avian dinosaurs on Facebook and Twitter and share them with us using the hashtag #TDIDinos.